Piano sheet music is readily available in vast quantities at retail stores and online. The difficulty is in knowing what to look for and where to look. For a beginning piano student, or a new teacher, the task is daunting. This web page is here to help you wade through the dizzying array of piano sheet music to find what you need or want. The list provided here is the result of 20 years of visiting music stores and libraries to find the best music to use for teaching and for learning piano. Hopefully, you will either find what you want, or discover what it is that you need for your piano music situation. Perhaps you will simply be set on the right path to what you are looking for. Regardless, know that the piano music on this list is tried and true. As a teacher, I am always looking for music which teaches and motivates, as well as music of high quality. Organized from a piano teacher’s perspective, the list starts with a high quality method, moves on to supplemental materials, and then simply provides what would be a great library of piano music for any lifelong student of piano. If you are simply looking to shop on your own without any added input, go straight to Sheet Music Plus.com (new window will open), which I have found to have the most comprehensive selection and is the easiest place to buy piano books online. For the very beginner, learning songs without music and getting to know the keyboard should be the priorities at this point. For a nice list of tunes to learn without music, see “Free Piano Lessons”. At this point the only music books you need are method books at the "pre-reading" level. Still, the priority should be on learning songs (melodies) without music, along with working through the method books. Once you’ve reached the advanced levels, it’s time to venture into the works of the “classical” masters, as well as exploring other genres (jazz transcriptions, film music, church/spiritual arrangements, etc…). 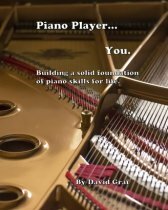 For a list of great piano sheet music and books for your library, go to "Piano Music". Return from "Piano Sheet Music" to "Piano Music Books"